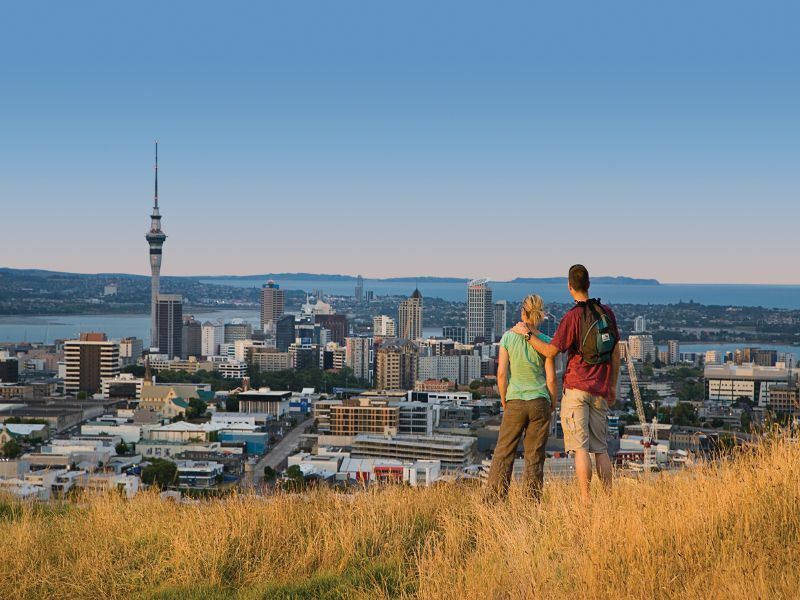 Located at the top end of New Zealand's North Island, and home to the country's largest international entry point, Auckland serves as welcoming committee and first glimpse of New Zealand for most travellers...and what a wonderful welcome it offers. Awash with volcanic peaks, shimmering bays, beaches, and colourful streets overflowing with cosmopolitan flair, Auckland simply has it all. A city big enough to be filled to the brim with the charms of urban sophistication and a melting pot of cultures, but manageable in scale and still only a short trip to the natural pleasures that make New Zealand such a special place, Auckland is the perfect spot to enjoy all the best of New Zealand in one place. How many other cities in the world combine beaches and islands with skyscrapers and world class culture? Not many. While some believe that Auckland's concrete cityscape should make it a mere transit point, a place to simply catch your breath after a long flight and before setting off for sights further afield on both the North and South Islands of New Zealand, we respectfully disagree. Auckland is so full of things to do and offers such a wide and eclectic slice of both urban Kiwi life and natural scenery, that it is the epitome of a 'must visit' in New Zealand. The following are just 10 of the many, many, things to do in Auckland, and you'll soon see that there is so much to do and see here that you may not want to ever leave this glorious city at the top of New Zealand. Auckland is home to nearly fifty volcanoes, which, luckily for us, are all currently quietly resting with no immediate plans for eruption. Many of these volcanoes are now parks or expansive green spaces, with Mount Eden being the tallest, and a fantastic place to catch a signature Auckland sunset. 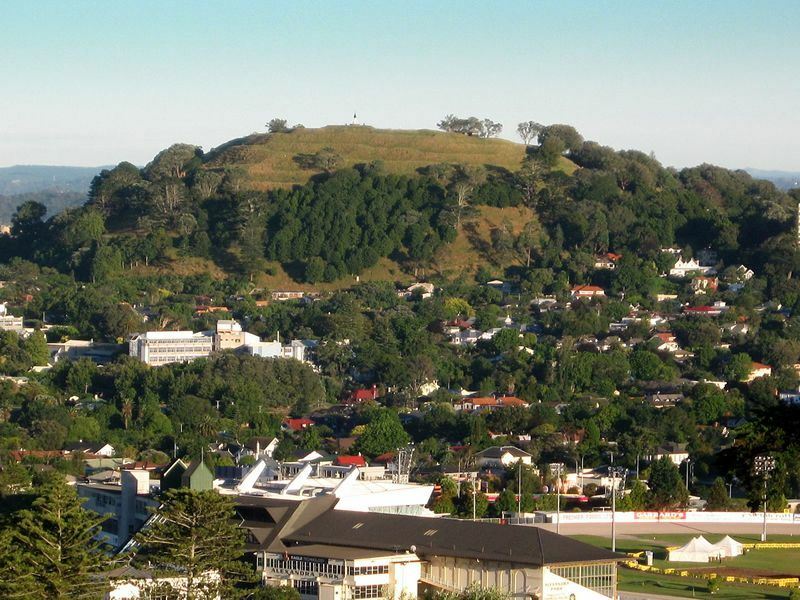 Just a few kilometres from the Central Business District, Mount Eden features a trio of dramatically-placed volcanic craters in a stunning oval shape, teeming with New Zealand's green plant life. Mount Eden was revered by New Zealand's Maori people, and educational tours telling this side of the mountain's history are available. As sunset nears, you will spot many people making their way to the peak of Mount Eden to take in the views of the sun sinking below the horizon and the skyline of this dazzling city presented before a brilliant orange backdrop. While many visitors to Auckland stay in the Central Business District, we recommend seeking out the vibrancy of some of the city's neighbourhoods, because it can help make your stay in Auckland extra special. 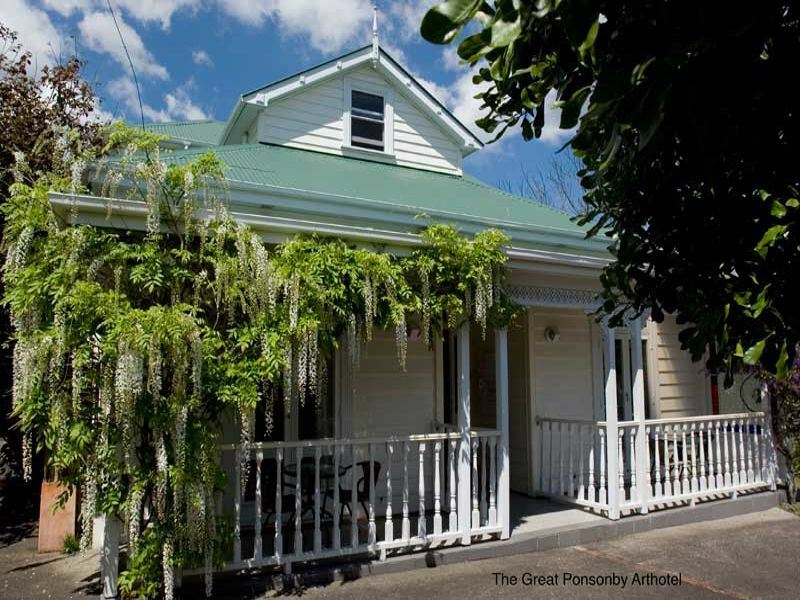 One such neighbourhood is Ponsonby, and with several top notch B&B's like the Great Ponsonby Bed & Breakfast, the neighbourhood is the perfect place to see how the hippest of locals live, eat, and drink - all while pretending to be one yourself. Ponsonby is populated by boutiques, galleries, concert venues, gourmet restaurants, and hip spots for after-work drinks, and during weekends the renowned Kiwi combination of coffee and brunch takes over the area. Ponsonby Road is the epicentre of the scene, but many chic side streets hold secrets of their own. Auckland is likely to be the first place you see in New Zealand, and the Sky Tower is likely to be the first thing you see of Auckland. Soaring over 1,000 feet high in the centre of Auckland's Central Business District, this space age needle-esque communications and observation obelisk was only built in the 1990's, but it has already become a symbol of the city. The tallest manmade structure in the entire Southern Hemisphere, the Sky Tower isn't just there for making the city's skyline look pretty, it is home to several top flight attractions, and a stop here is a must during your time in Auckland. 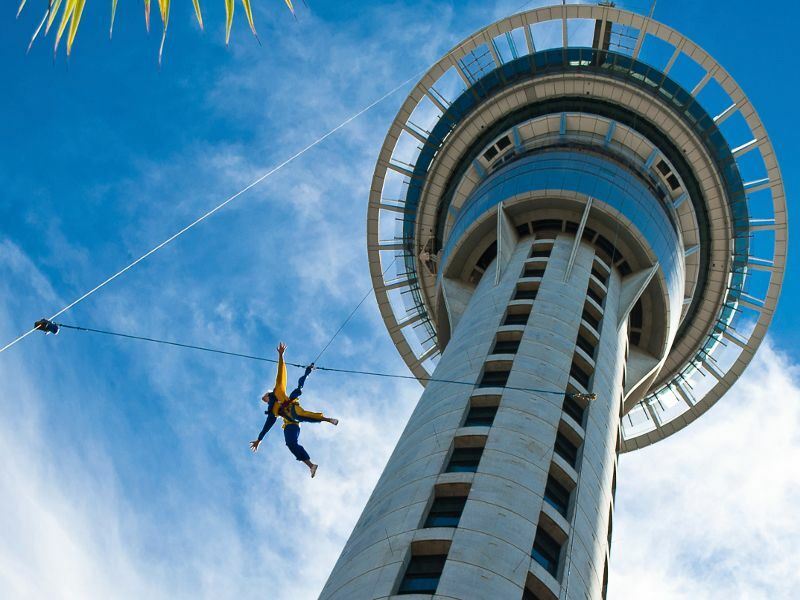 Dining, drinks, gaming, and the legendary SkyJump - a bungee jump off the side of the Sky Tower - will all take your breath away in their own way. Part of the magic of travel is the ability to learn more about cultures and traditions you may not have previously been intimately familiar with, and there is no better place to get an overview of New Zealand and its fascinating native culture than the esteemed Auckland Museum. While exhibits at the stoic venue inside the leafy Auckland Domain are constantly being rotated, the museum always offers enthralling displays that detail the native Maori people's history in New Zealand. 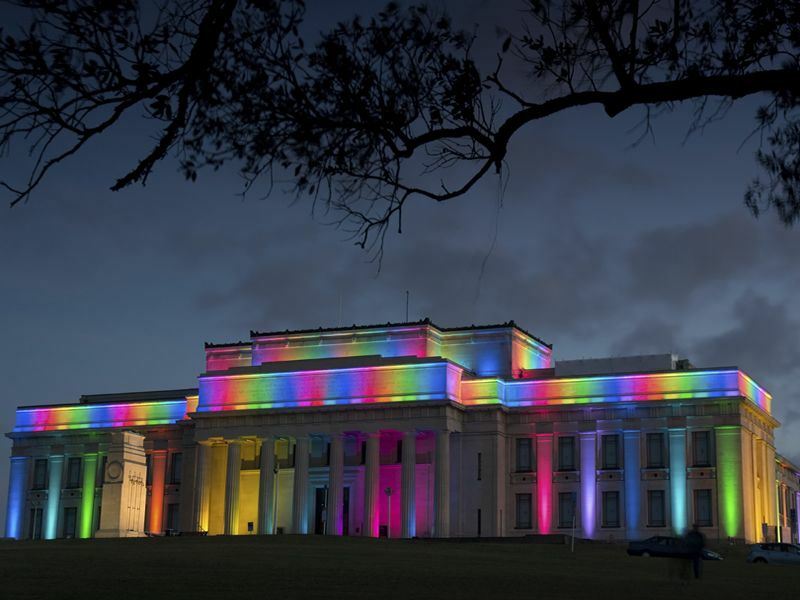 The highlight of many trips to the Auckland Museum is the authentic and enriching Maori Cultural Performance that runs the gamut from soothing ceremonies to boisterous hakas that echo through the halls of the museum. 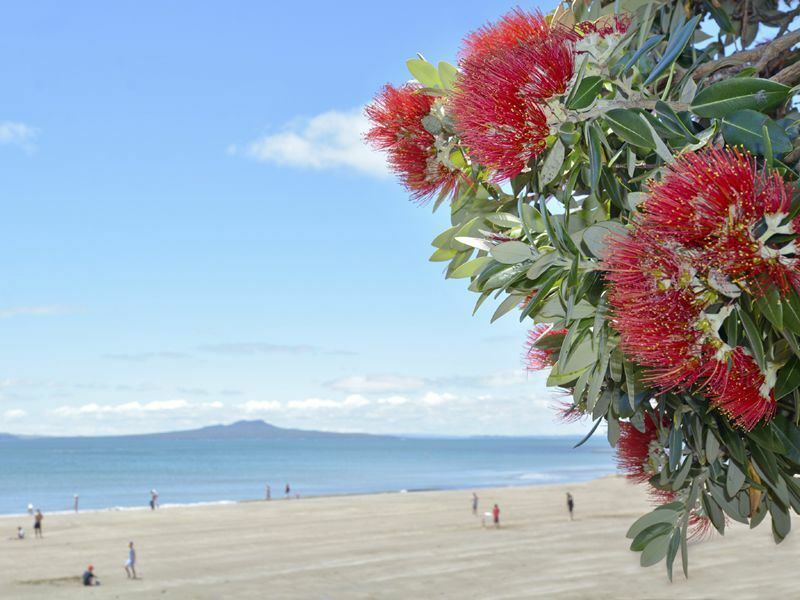 Home to a bevvy of beaches within the city limit, there is a string of sand for every type of beach lover in Auckland. Nature enthusiasts will love Kohimarama Beach, with its sweeping view of Rangitoto Island and her volcanic cone, while those who like a 'scene' with their seashore will be right at home at Mission Bay Beach and its polished promenade full of eclectic cafes and coffee shops. Located just a short ferry ride from Auckland's bustling port, Waiheke Island feels like a journey to an entirely different time and place. A Bohemian enclave of beautiful bays, wineries, art, foodie finds, and windswept beaches, a day on Waiheke is a breath of fresh air. So stunning are the views of the bays on Waiheke, that benches have been installed on precipices all over the island, just so visitors can grab a seat to soak in the view - as they will likely have grown weak in the knees from what their eyes have just taken in. 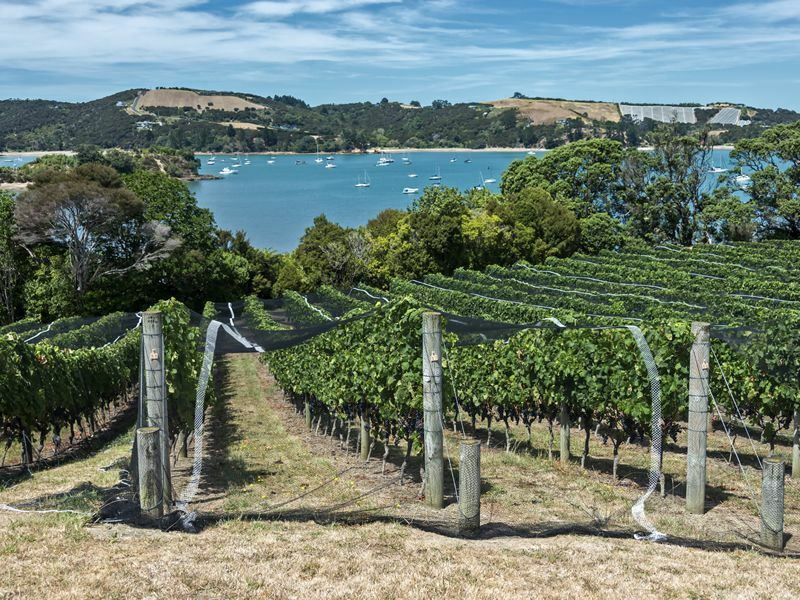 It's the wine that is the main draw for many to Waiheke, and a host of top-notch wineries call the island home. They typically offer wine-tasting classes and lunch, with a dip on the famous Onetangi Beach and a sundowner at the famous Charley Farley's Bar the perfect way to cap your day. 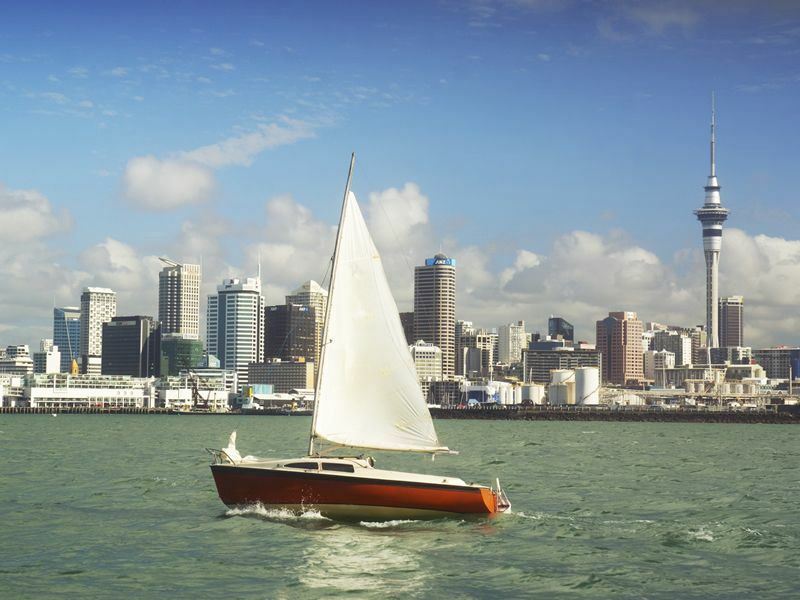 One of the most enduring images of Auckland is of wind-whipped sails bobbing up and down in the harbour, and it won't take you long at all to see why Auckland has become known the world over as the City of Sails. The spirit of sailing is near to this city's heart, and having twice played host to the America's Cup Sailing Tournament is further evidence of this connection. Whether chartering a sailboat yourself or re-creating the fun of an America's Cup experience through interactive days out, no trip to Auckland is complete without getting out on the water and setting sail for yourself. 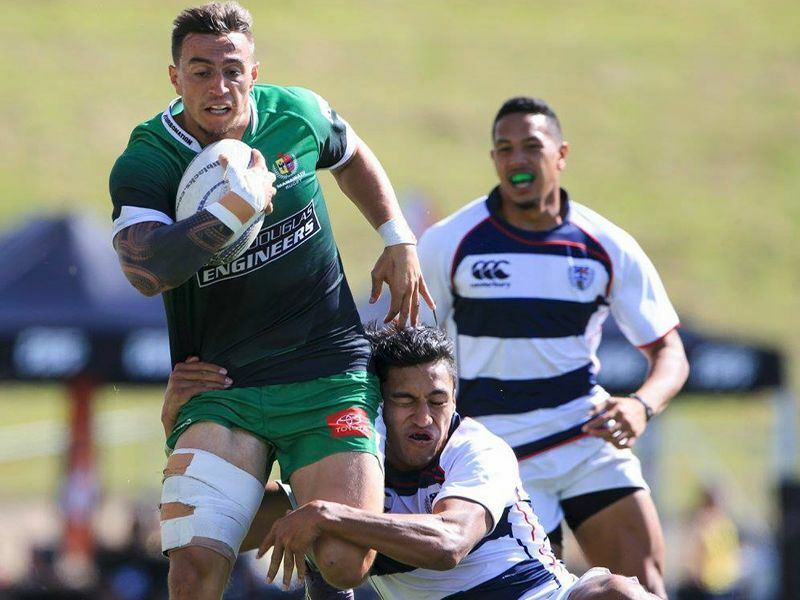 Rugby is hands-down the national sport of New Zealand, and while almost any empty field in the nation is a potential spot for you to catch an impromptu pickup game, the most hallowed ground in New Zealand is Auckland's Eden Park. Constantly home to Rugby Union and Rugby League matches, the venue is the home ground to the hometown Auckland Blues of Super Rugby fame and has hosted many test matches of the legendary All Blacks over the years. Even if a game isn't on while you visit, tours are always available, and they will offer an insight into the country's love affair with Rugby. 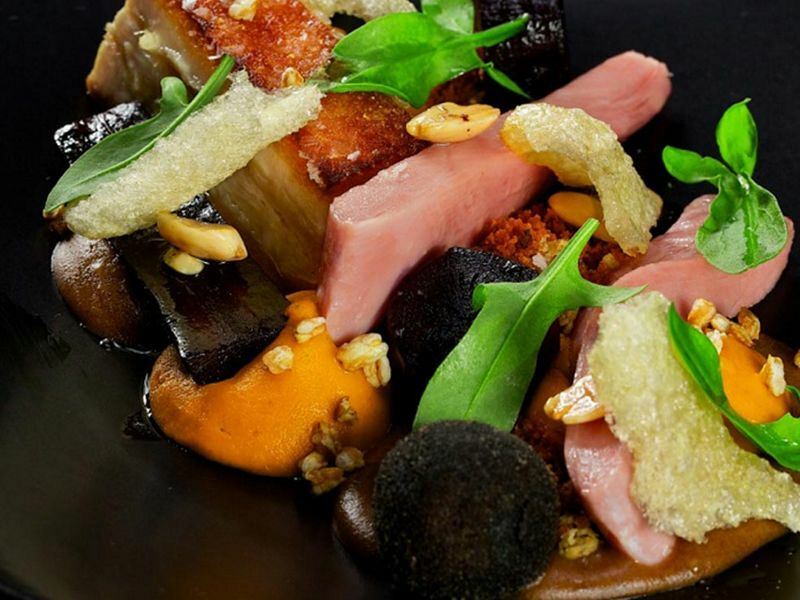 From the chicest of contemporary dining locales to waterside craft beer and burger spots, Auckland is renowned as one of the culinary centres of New Zealand. As fantastic as the dining scene is, it's in the bustling markets of Auckland where the delicious spirit of the city shines through. Multiple markets spring to life on the weekends offering everything from artisan island cheeses, meats, and baked goods to European delicacies. In addition, night markets have become a very popular thing in Auckland, setting up shop each evening at different spots throughout the city, and making for the perfect way to grab a bite while you mingle with the locals. Only a short trip from downtown Auckland, two impressive peninsulas - The Coromandel and Awhitu - beckon, offering day trips full of natural beauty and adventure. The Awhitu Peninsula is awash with black sand beaches running below stunning wind-weathered hills, making for great hiking and picnic locales, especially the scenic Manukau Heads Lighthouse. 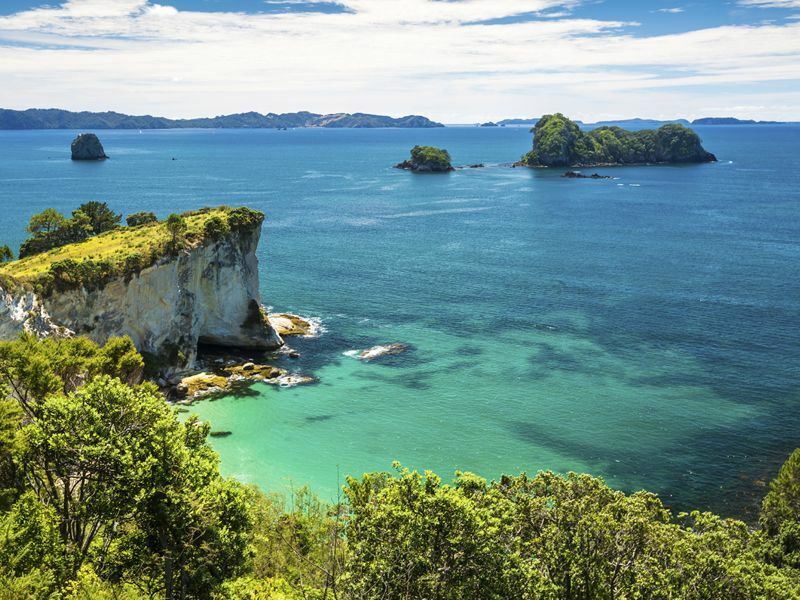 Slightly further from Auckland, but still well within striking distance for a day trip, the Coromandel Peninsula and its misty conifer-covered mountains beckon with a natural beauty and relaxed vibe. The Coromandel is where locals go to let their hair down, but where tourists go to pick up a shovel at the famous Hot Water Beach. Here, through the magic of New Zealand's geothermal activity, you can dig your own Jacuzzi in the sand and then watch it fill up with warm and relaxing waters. Expect a crowd, but also expect an experience you'll remember for the rest of your days.